Andromeda Hyper DVD Audio Ripper is an powerful and easy DVD ripper application for converting DVDs to all most audio format (wav,mp3) with excellent output quality. You can enjoy your favorite DVD audio in anywhere. 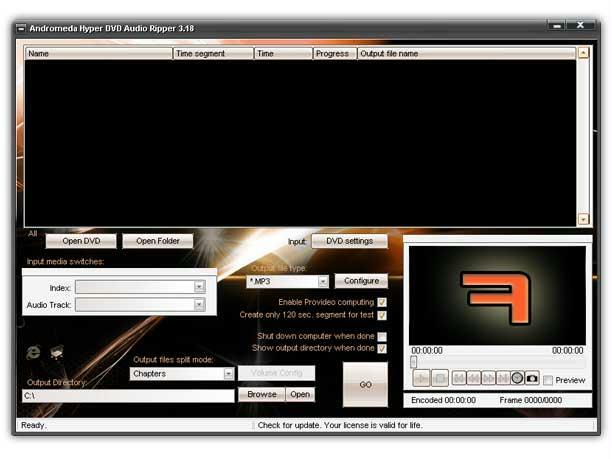 With integrated advanced audio encoder, it is faster than other DVD Ripper software, and just a few clicks is enough. Andromeda Hyper DVD Audio Ripper supports batch file processing. You can check the chapters or videos you want to convert and convert them one by one, alse can select any audio track as you want.